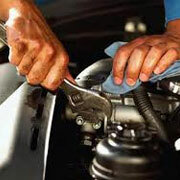 Preventative maintenance should include having car servicing done on a regular basis. Regardless of the make and model of the car you own, whether you have a Ford, Renault, Peugeot, Vauxhall, Nissan, Honda, Kia, BMW, Mercedes or Audi, sticking to the maintenance schedule set forth by the manufacturer will help keep it in good condition. This means that your car will be much less likely to break down, and also means that it should retain better value should you decide to sell it at some point. Car servicing typically entails a change of the oil and filter, as well as a check of the brakes, lighting, fluids, air filter, and spark plugs. An analysis of the on-board diagnostic system may also be performed, as well as other services. With modern cars being quite complicated in design, it is best to allow this maintenance to be performed by a mechanic that has experience in working on the type of car you own. The type of oil that is used will play a role in how often it needs to be changed. Motor oil used to be only mineral based, but then came a combination of mineral and synthetic. Completely synthetic based oil is now the preferred choice of many, as it tends to hold up well for a longer period of time and can help protect the engine better than mineral based oils. When professional car servicing is performed, the mechanic will use only the oil that is recommended for your specific engine. A check of, and topping off of the fluids will be carried out at the time of servicing. However, you can do this task yourself if you wish. Brake fluid, engine coolant, and power steering fluid should all be checked periodically, and topped up if needed. Not maintaining the proper level of engine coolant could result in major engine problems, and possible even the need for engine replacement. Brake and power steering fluid are needed in order to maintain control of your car while it is in operation and are quite important. The electrical monitoring system should only be accessed by a professional. A car servicing center that has the proper equipment will be able to connect to your system and diagnose any problems, as well as spot potential problems. Much insight can be gained by learning what is going on in the areas of your car that you cannot see. Air filters may last quite a long time, depending on certain conditions such as the environment. When air flow to the engine is blocked, poor performance and a higher rate of fuel usage will be the direct result. It may be hard to believe that something as inexpensive as spark plugs could be so vitally important. However, they are indeed important, and should be cleaned and changed periodically in order to prevent common problems, as well as to prevent the engine from seizing. The selection of a mechanic that you feel comfortable with is important. 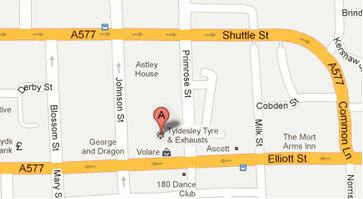 Feel free to ask about the qualifications of the mechanics in any given car servicing garage. Trained professionals that have access to the proper equipment will be able to keep your car in excellent shape at all times.